We are entering the last quarter of the school year. It’s always a challenging time just after the April vacation right through to the end of the year. The last months include extra field trips, big school events, great outdoor weather – all of which take the focus off the motivation of our students. To ensure that students stay engaged, try using language of engagement and focusing on intrinsic motivation in the classroom. The chapter below is from a new book by Mike Anderson, What We Say and How We Say It Matter – Teacher Talk That Improves Student Learning and Behavior. There’s some great advice for those who are willing to pay close to attention to their own language and habits in the classroom. Give it a quick read. You’ll enjoy the chapter – and the end of the school year. "Kids these days just aren't motivated!" we might hear an elementary school teacher say. "They just want to fool around or play video games." "My students just don't care. They just want to do the least amount possible and finish as fast as they can so they can talk with their friends," we might hear a middle school colleague complain. Perhaps you've heard a high school teacher worry about his or her students: "All my students care about is grades. I want them to be passionate about learning, but they just want me to give them a rubric and tell them what to do." Don't we all want our students to be motivated to learn? More specifically, don't we want our students to be motivated from within—to have a hunger and drive for learning that compels them to work hard and engage in robust challenges? Yet so often, students seem so passive. They either resist learning or slide by with minimal effort, doing the least amount possible. This entire book connects with motivation in some ways, but in this chapter we'll address the topic head-on. We'll explore ways to boost intrinsic motivation (motivation that comes from within) in our students. Before we get to this though, we must first understand what we're up against, so we will explore extrinsic motivation—the primary form of motivation offered to students in school. Extrinsic motivators (prizes, treats, monetary rewards, food, etc.) compel us to do things we might not otherwise want to do with the promise of prospective gain. Students get stickers for bringing in their homework, shallow praise ("Good job!") for walking quietly in the hall, student-of-the-week awards for being responsible, pizza for reading a certain number of books, and good grades for compliant work. When my daughter, Carly, was in elementary school, she had a teacher who was working hard to motivate kids to do well. She used a reward system where the class collected warm-fuzzies (mini pom-pom balls) in a jar by following rules and getting compliments from other teachers. When the jar was full, they got their reward: a goof-off day. The teacher explained that kids could wear pajamas to school and didn't have to do any work all day long. When explaining this to parents, she winked and said, "But actually, we're playing math and literacy games all day long. They have so much fun, they don't even know they're learning!" Although this teacher would say that she believes that learning is and should be fun, by rewarding students with a goof-off day, she actually sent the reverse message. If the reward is to not do work, work must be something inherently distasteful—something to avoid if you can. Similarly, when she explains that kids are having so much fun they don't even know they're learning, she's revealing her belief that learning isn't fun. If students somehow knew they were learning, the logic goes, it would decrease the pleasure of the moment. There are many problems with relying on extrinsic motivators in school. Study after study after study reveals that the use of extrinsic motivators decreases intrinsic motivation. Here's one: A group of preschoolers were gathered. All of these children already loved to draw. Then, some of them were offered rewards for drawing, some were surprised with unexpected rewards, and others were given no reward at all. Students who were offered the reward ahead of time (meaning their behavior was incentivized) showed a dramatic decrease in their desire to draw after the study was done (Lepper, Greene, & Nisbett, 1973). In a meta-analysis of 128 studies on the effect of extrinsic rewards on intrinsic motivation, researchers concluded that rewards, whether they are offered for engagement, completion of a task, or performance, all significantly undermined intrinsic motivation (Deci, Koestner, & Ryan, 1999). So, when we offer pizza for kids who read over the summer, we may increase the number of books that kids read that summer, but we likely decrease their intrinsic drive to read in general. When we give preschoolers a sticker for singing a song, we dampen their joy of singing. When we give a class a "goof-off day" for working hard and being kind, we make them less likely to want to work hard or be kind on their own. When we offer kids As for learning, we diminish their intrinsic motivation to learn. Extrinsic motivators also decrease achievement. In a series of fascinating studies, Edward Deci, a psychologist at the University of Rochester, and his colleagues found time and time again that when both elementary school children and college students were asked to learn information to take a test, they learned less than students who simply read the content (without the knowledge of an upcoming test) or those who learned content to teach others (Deci et al., 1999, pp. 47–48). Remember those preschoolers who lost their interest in drawing after being incentivized? Judges also rated their pictures as less aesthetically pleasing than the drawings of the non-incentivized students. As noted in Chapter 7, another problem with incentives and rewards is that these extrinsic motivators may encourage students to view work as optional because it's now transactional. Just think—if students are told, "Do this assignment and you'll get a sticker," they may now start weighing their options: "Is doing that work worth a sticker?" They may conclude that it isn't and choose not to do the work. I've heard teachers exclaim in exasperation about a student who won't turn in work, "They're getting Fs and they don't even care!" Right! Working for grades isn't sufficiently motivational, and they've decided that their time and effort isn't worth the grade. Mark Twain deftly pointed out this phenomenon in The Adventures of Tom Sawyer (1876), at the end of the glorious whitewasher scene: "There are wealthy gentlemen in England who drive four-horse passenger-coaches twenty or thirty miles on a daily line, in the summer, because the privilege costs them considerable money; but if they were offered wages for the service, that would turn it into work and then they would resign." We've all had students who seem to not care about their work. Some students show this by disconnecting entirely—not doing work and failing classes. Others show it by complying and doing the bare minimum. "Just give me the rubric so I know what I have to do to get a B," they say. What's sad is that kids don't come to school like this. Have you ever seen an unmotivated 4-year-old? Remember those fired up learners in Kathy Bresciano's and Suzanne Ryan's classrooms, described at the beginning of Chapter 8? They show up for preschool ready to go! They want to paint, build, act, look at books, experiment in the sand table, and sing. I think it's pretty clear that the system of rewards and incentives that is so pervasive in schools is a leading contributor to students' diminished intrinsic motivation as they move through school. Stickers, candy, prizes, grades, and even hollow praise slowly undermine students' passion for learning. Eliminating all such devices from our schools, especially structures like grades and schoolwide awards, takes a massive amount of time and effort and goes way beyond the scope of this book (though it would be a worthy cause!). What we can do is change the way we talk about learning, work, and behavior. So, let's focus on language. How can we, while still navigating (and helping our students navigate) the structures of our schools, emphasize intrinsic motivation through our language? First, we need to know what intrinsic motivation is all about. Extrinsic motivation is so common in schools that we may, at first, struggle to figure out what intrinsic motivation should look like. If kids aren't working for grades, treats, or prizes, what should motivate them? This may be especially hard to answer for those who grew up being motivated with extrinsic motivators. If praise, grades, and stickers are all we've experienced as ways to motivate our learning, the idea that motivation can come from within might be hard to grasp at first. Intrinsic motivators are ones that compel us from within—they're qualities that make something worthy of action on its own. For example, you might knit in the evening because it helps you relax and you enjoy the accomplishment of completing a new project. You might sing in a choir for the joy of music and the comradery of the group. You might volunteer at a local charity or civic organization for a sense of purpose: It feels good to help your neighbors and community. There are many different intrinsic motivators, but most of them fit into one of a few broad categories. The following list is drawn from multiple sources including Maslow's hierarchy of needs, Glasser's choice theory, the work of Edward Deci in Why We Do What We Do (1995), and essential elements of self-motivation outlined by Daniel Pink in Drive: The Surprising Truth About What Motivates Us (2009). Belonging: We long for social connection. It feels good to be part of a group and have friends. Autonomy: We want to be self-directed—to have some power and control over what we do and how we do it. Mastery: It feels good to grow and learn—to gain a sense of mastery. We relish challenges when we perceive they are within our reach. Significance: We want our work to matter—to have some greater purpose beyond the moment or ourselves. Fun: We all crave a sense of fun and enjoyment. We want to be positively engaged. The good news is, if the work we're doing with students is valuable and interesting, it's going to have some of these qualities inherently built into it. For example, it's exciting for students to see themselves getting better as readers and writers (mastery/esteem). When we give students choices about their work, we are sharing autonomy and power with them. When students know they will be sharing their writing or their research findings with others, or if they will perform in front of an audience, we can tap into their desire for purpose, belonging, and significance. In the following sections, notice these and other themes that run through many of the examples. They may help you consider how to talk about student work and learning in ways that align with what is (or should be!) intrinsically motivating about work. As I talk with students and ask them about language habits and patterns of their teachers, I'm surprised at how many share experiences with teachers who talk about work being unpleasant or boring. "I know some of you don't love history," a teacher might say while introducing the next social studies unit. "This next worksheet is kind of boring, but it has some important ideas," explains a Spanish teacher as he introduces the next skill students will be practicing. One student told me that his Algebra teacher actually began a math lesson by saying, "I don't want to do this any more than you do, but it's on the state test, so we have to." Just think of the tone this sets in a classroom! If we wanted to create apathetic unmotivated students, these statements would be a great place to start. Instead, let's use language that assumes that students are already motivated and emphasizes characteristics of the work that are intrinsically motivating. See Figure 11.1. "In this next activity, find a problem to work on. For those of you who get nervous about pushing yourself, don't worry, there should be one there that won't be too hard." "In this next activity, find a puzzle or problem that will be exciting to work on—one that will get your wheels turning." "I know you guys just want to get to your books, but first I have to teach a quick mini-lesson." "We're going to be talking about a new reading strategy today—one that will help you understand important ideas in your reading." "I know some of you don't love singing, but this next song is actually kind of good." "This next song is fascinating. You're going to be amazed at the story it tells!" In their book, Learning and Leading with Habits of Mind (2008), Art Costa and Bena Kallick encourage teachers to use "mindful" language with students as a way to "enhance students' awareness and performance of these intelligent behaviors" (p. 124). In fact, they point out that students are more likely to adopt these habits of mind when teachers use specific, cognitive terminology. For example, they suggest that instead of saying, "Let's look at these two pictures," we might try, "Let's compare these two pictures." Using words like hypothesize, evaluate, apply, and speculate will not only boost students' excitement for learning but will also help them internalize the words and use the skills (pp. 124–125). A common fallback we might use, especially when we can't identify other intrinsic motivators in work students are doing, is to say some version of, "This is important because you'll need it later." Emphasizing the importance of math fact fluency, we might say, "Next year in 5th grade, teachers are going to expect you to multiply quickly." Or, if a student asks us, "When am I going to need to know how to write up a science report?" we might respond with, "If you end up going into science, you'll need to know how to do this." Of course, there are a couple of problems with relying on "someday" as students' primary motivation. First, people are notoriously bad at doing hard things now for possible gains later on. It's hard for us to save for retirement, force ourselves to exercise, or eat well. I'm not saying it's not a worthy cause to help kids get better at delaying gratification—quite the contrary. I just don't think it's a good way to build positive energy for practicing math facts in the moment. Second, because "someday" is fictional (we don't really know what tomorrow holds, let alone what may happen 10 years from now), it's easy to dismiss and argue away: "I don't plan on being a scientist, so I guess I don't care about writing a lab report" or "I can multiply on my phone, so I don't need to practice multiplication." A teacher I worked with in Todd County High School in Mission, South Dakota, warns of another version of "You'll need it someday." He cautions us to stop using the phrase "in the real world," and I couldn't agree more. You know what he means: "In the real world, people are going to expect you to be able to work well with others, so you'd better figure this out now." This language habit is problematic for a couple of reasons. Like "you'll need this someday," it can be a weak substitute for better, more immediate intrinsic motivators. It's also dismissive of students' current lives and situations. It's almost like we're saying that where they are right now—both in school and at home—isn't real life. Instead, we should work at connecting with more immediate intrinsic motivators. Writing a lab report that will be shared with another class or published online (instead of just being turned in for a grade) builds a sense of purpose. Playing a game to practice math fact fluency is fun in the moment. We should always look for ways to connect with intrinsic motivators so that we don't need to incentivize learning. One of the most common forms of extrinsic language used in schools is teacher-pleasing language—the same kind we discussed in Chapter 7 when exploring how language influences moral reasoning. This habit of talk emphasizes that the reason for doing work is to make a teacher happy or comply with the wishes of a teacher. You might be thinking, isn't belonging an intrinsic motivator? Don't we want students to have strong connections with and please teachers? Yes, but there's a difference between building connections with students and having them dependent on us for approval. First, let's remember that students are already yearning for positive connections with teachers—even the students who seem sullen and disconnected. (These students have learned that it's safer to be angry than vulnerable.) When we smile and nod as we listen to a student during a writing conference, when we ask a follow-up question after a student has asked for help, when we build connections with students by sharing about ourselves and learning about them, we are helping them meet their needs for belonging and connection. It's when we use that connection as a reason for doing something else that the language shifts to a form of extrinsic motivation. In Chapter 8, we considered how this affects behavior. Now, let's consider academic engagement and motivation. "I like the way you got so many sources for your research project!" indicates that the reason students should get lots of resources is because we like it. Our approval is now the incentive or reward for doing good work. We can shift this language to emphasize purpose and mastery: "You have quite a few sources for your research project. That lends a lot of credibility to your work—showing that you thought deeply about the topic. It also helps give multiple perspectives to some of your research questions!" See Figure 11.2 for a few more examples. "Jayson, I love the way you're working so hard on your clay model!" "Jayson, your hard work is really paying off. Your model has realistic detail!" "I'm so happy with how that last artistwriters workshop went!" "Did you see how great that last work period was? We got a lot of writing and artwork prepared for our upcoming exhibit!" "Wow! I like how you wrote such a long story, Hannah!" "Hannah, that might be the longest story you've written yet. Congratulations!" This doesn't mean that we should completely remove ourselves from the equation, however. In Chapter 9, I suggest shifting from first person to second person language as one way to emphasize student ownership of language. You may have noticed this trend in the previous chart. This is a good habit to consider, but there are certainly times when it might be appropriate to use the first person. Perhaps the class is having a discussion, and you want to share your opinion as a member of the class. "Here's a thought I have," you might begin. Or, perhaps you're responding to a student's writing and want to speak from the perspective of a reader: "As a reader, I was struck by the imagery you used in this opening paragraph." In each of these instances, you are placing yourself on a level playing field with students. You are a class member offering an idea, or you are a reader responding as a reader. By reducing the hierarchy of positions, we are able to use the first-person voice in a way that's less likely to be interpreted by students as a voice of power. Surprise! It's time for a pop quiz. 1. Which of the following statements best reflects the role that tests and quizzes should play in student learning? A. Students should learn so they can do well on tests and quizzes. B. Tests and quizzes are one way we can understand student learning. 2. Which of the following statements best reflects the role that grades should play in student learning? . A. Grades are a reward for learning. B. Grades should reflect student learning. If you answered "b" to each of these pop quiz questions, then you likely don't see tests and quizzes or grades as the primary motivator for learning. In my experience, most educators want to respond "b." We want learning, not tests and grades, to be the goal, yet we may find ourselves accidentally communicating the reverse to students through our language. "To get an A, you should study" implies that the reason for studying is to get a good grade. The tail wags the dog. Instead, tap into an intrinsic motivator by connecting with students' need for mastery and competence: "To master this material, you should study." Does this mean that making this shift will suddenly cause all students to study? Of course not. But think about the message it sends. The goal of studying is learning and mastery. Even if it doesn't shift behavior immediately, it better reflects the kind of intrinsic motivation that we want to help foster in our students (see Figure 11.3). "If you want to do well on tomorrow's quiz, you'd better study!" "Studying will help you master the concepts we've been working on. Tomorrow's quiz will help us check in to see how things are going." "This rubric will help make sure you know how to get an A." "This rubric will help you push yourself to do great work." "I know some of you are trying to get your grades up right now, so make sure you work really hard on this next unit." "I know some of you have been working hard to understand the content in the last two units. Make sure to work hard in this next unit. " "If you're not happy with your grade, you can make some revisions and submit your essay again next Tuesday." "If you want to continue to improve your essay, you can make some revisions and submit it again next Tuesday." One challenge for us as teachers, as we consider ways to tap into intrinsic motivation in daily learning, is that we ourselves likely grew up in a school environment that emphasized compliance. "Why do I have to show my work, if I know the answer?" we might have asked in math class. We likely heard the reply, "Because that's what you're supposed to do. You have to show your work." For many of us, school has always been about compliance, and now that we find ourselves at the front of the room, we may end up in the same system. For example, if we're struggling to implement curricula that others have developed, and we ask the curriculum coordinator, "Why do I need to teach that lesson if my kids didn't get the last one?" we may hear a response that's eerily familiar: "Because that's what you're supposed to do. It's about fidelity to the program." If we can't even determine what should be intrinsically motivating about students' (or our) work, how can we use language habits that emphasize intrinsic motivation? We'll get into many specific strategies for shifting language habits in Chapter 14, but here's an idea to try right away. Look at some of the lessons and units that you teach through the lens of the five intrinsic motivators listed in this chapter: belonging, autonomy, mastery, significance, and fun. As you think about the work, what intrinsic motivators are already present? For example, will students share their work on a bulletin board, through an online forum, or in a presentation? If so, that connects with a sense of significance. Will students have some choice about what they're learning or how they're learning it? If so, that may boost their sense of autonomy. Do students get to work with a partner (belonging) or play a game (fun) or chart their progress toward a goal (mastery)? Once you have identified the intrinsic motivators, you can now start to think about how to emphasize those as you talk with students about the work. And what if you can't find any intrinsic motivators? Then you can think about how you can shift the work so that it connects with at least one. Find ways of connecting whatever work students do with at least one intrinsic motivator, and your students will have a chance to move from being compliant to being more truly engaged in their learning. There's an important benefit here that at least needs to be mentioned. When students are truly motivated about their school work, when it taps into their intrinsic drives, there will be fewer mis-behaviors in your class. Too often, schools tackle discipline challenges without looking to the qualities of the academic work students are doing, and this is a huge mistake. It's almost impossible for many students to display positive behavior in the midst of work that's not motivating. Last week I shared an article from the Hartford Courant, in which a local college professor bemoaned the fact that students don’t seem to ever mention “school” as one of their favorite places. I pointed out the fault of the question and suggested that if students were to be asked about the most influential people in their lives, most or many would include a teacher in the list. I feel that students prize the relationships they have with the adults they work with at school. If it is indeed about relationships, what are we doing as a school to make sure that all of our students benefit from positive relationships? "What's most interesting is a child can become a productive and engaged learner from any starting point, as long as we intentionally build those skills," said Dr. Pamela Cantor, founder and senior science adviser of Turnaround for Children, in an Edutopia video on bring learning sciences into the classroom. "I prioritize relationship building, because getting to know them is the best part of the job," said English language arts teacher Catherine Paul. But it isn't always easy to show up in the vulnerable, open ways that lead to authentic connections with kids. "It starts from so much honesty and transparency with kids. It's really easy to strive to be this like idealized, always ready to go, elementary school teacher. And that's not real, and that's not human," said teacher Lindsey Minder. "My students connect most with me when they see that I also struggle, and I also have challenges. It takes a lot of vulnerability on my part." "During that time I'm just trying to connect with them, help them with their transition from home to school, and just kinda take a pulse check on where they are," said Falon Turner, a kindergarten teacher at Van Ness Elementary School. It's an intentional way to look each child in the eyes every morning and let them know that who they are, how they feel and what they bring to the classroom matters. Oh boy, Professor Reynolds, you missed what school is really all about! Usually I make comments up front and then feature a related article. This week, I am placing the article first followed by my comments. Every semester, in my junior-level college class of soon-to-be teachers, I run an experiment that consistently yields fascinating but tragic results. On one day of class, usually mid-semester, I instruct the students to leave our classroom in order to conduct a spontaneous research project. The mission? Find five people anywhere on campus, and ask each a simple question: What is a place from your past that has special significance for you? After about 25 minutes, students arrive back to class, and I ask them to list all of the places that were named by their research participants on the white board at the front of the class. The result is a sprawling list of somewhere in the vicinity of 100 places — including a number of repeats. The most common: the house I grew up in, a mountain/beach/other nature-oriented spot, a state (such as Iowa or California), or a room in the house they grew up in (e.g. my kitchen, my basement). After running this experiment with six separate classes, which includes “special places” from approximately 600 different research participants, what is most shocking is what never makes the list. The word “school,” any classroom, or any education-related response, is never on the list. None of the spontaneous research participants lists any school-oriented place as having special significance for them. When my teachers-in-training first become aware of what’s missing, their mouths drop open. After all, they know as well as anyone that we spend the majority of our days growing up in school. At eight hours a day, from kindergarten through 12th grade, we spend more time at school than we do with parents or guardians, playing sports, being in the kitchen, visiting Iowa or California (unless, of course, we live there! ), hiking in the mountains, or going to the beach. So the tragic question is this: Why does school never make the list as a special place? Why don’t we remember our fifth grade classroom as fondly as we remember our kitchen, or any other place we have spent a lot of our time? After their shock wears off, my soon-to-be-teachers are ready with an array of ideas: school made us feel less curious; school made us feel scared; school made us feel judged; we didn’t get to show who we really were; we had to be quiet all the time; we had to sit all the time; we had to deal with immense pressure to get as many points as we could to get the highest grades we could. In other words, for many students growing up through our American school system, obedience was crucial. Creativity and experience? Not so much. How can we change this? What can we do to help K-12 students everywhere learn to love their schools? * Smaller class sizes. Key question: Is it easier to have a close, meaningful and knowledgeable relationship with more people or fewer people? If we want to create classrooms focused on making meaning for and with students, we need to allow teachers fewer students per class so they can build those deep, meaningful relationships. To pay for such a momentous change, we could spend less money assessing our kids continuously and more money knowing and growing our kids consistently. * More experiences; more relationships. Key question: What has profoundly impacted me in my own life? The answer usually has to do with significant experiences we have had. We tend to remember things we have done, and when we have done interesting things in the company of people we care about, those memories become profoundly life-altering for us. So, our students in K-12 schools should be having far more experiences, and far less seat work. This means more field trips, more projects, more games outside, more challenges, more physical movement during the school day, more performing their own stories and plays, and more interaction. * More joy, less conformity. As many highly creative people know, the tangents are where the good stuff lies. We need to encourage our teachers to take tangents with students, have fun, find joy, and enjoy their time in schools. Obedience and efficiency create a prepackaged product; they don’t create long-lasting learning. These three possibilities can help us reframe what it means to sit inside classrooms for 13 years of life. They represent the highest of all stakes. And maybe they will yield a surprise, down the road, when one of my soon-to-be-teachers comes back from engaging in my impromptu experiment and writes that beautiful, hopeful word on the whiteboard: school. Luke Reynolds is an assistant professor of education at Endicott College. He taught in public schools in Connecticut and Massachusetts for many years and is a Windsor native. School is not about the place. School is about relationships. If this professor asked his classes to list the people in his life of special significance, I am positive that the vast majority would include at least one or more teachers on that list. While schools have their flaws, the professor’s question is truly flawed. The reality is that we do indeed want students to learn in well-constructed classrooms, labs, and libraries. But what we really want is for the building to assist in any way it can in helping to create meaningful relationships with an adult in the school whether it be teacher, staff member, coach, or mentor. Schooling is much more than the physical place. Schools today and in the future will always be about relationships. I will do everything I can every day to make sure that we foster the best relationships with our students! I think our teachers always focus on the relationships they have with their students. But, I hope every teacher and staff members will renew that pledge. Daniel Willingham has devoted his energy to finding a link between thinking and learning in the classroom. His books and articles are great reads for teachers and parents. As a neuroscientist, he admires teachers because he knows that the human brain is a remarkable thing. And, as remarkable as it is, thinking is not what it does best. His advice helps you maximize the brain for learning! Visit his website http://www.danielwillingham.com/ and you’ll find articles and writings that range from very technical to much less technical, all offering great advice for teachers of every grade level. 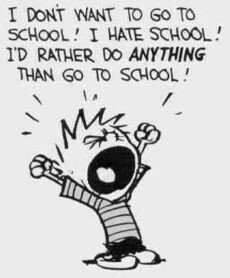 Why Don’t Students Like School? began as a list of nine principles that are so fundamental to the mind’s operation that they are as true in the classroom as they are in the laboratory, and therefore can reliably be applied to classroom situations. Many of these principles likely won’t surprise you:factual knowledge is important,practice is necessary, and so on. What may surprise you are the implications for teaching that follow. You’ll discover that authors routinely write only a fraction of what they mean, which I’ll argue implies very little for reading instruction, but a great deal for the factual knowledge that your students must gain. You’ll explore why you remember the plot of Star Wars without even trying, and you’ll learn how to harness that ease of learning for your classroom. You’ll follow the brilliant mind of the television doctor Gregory House as he solves a case, and you’ll discover why you should not try to get your students to think like real scientists. Cognitive scientists do know more about the mind than these nine principles. These nine were selected because they meet the following four criteria. Each principle is true all the time, whether the person is in the laboratory or the classroom, alone or in a group. Each principle is supported by an enormous amount of data, not just a few studies. Using the principle can have a big impact on student learning. Each principle suggests classroom applications that teachers might not already know. Education is similar to other fields of study in that scientific findings are useful, but not decisive. Cognitive principles do not prescribe how to teach, but they can help you predict how much your students are likely to learn. If you follow them, you maximize the chances that your students will flourish. 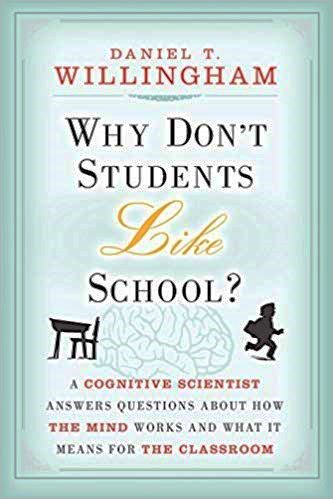 Education makes better minds, and knowledge of the mind can make better education.Please email me (psmith@easthamptonct.org) if you would like a copy of the book! Your brain serves many purposes, and thinking is not the one it does best. Your brain also supports the ability to see and to move, for example, and these functions operate much more efficiently and reliably than our ability to think. It’s no accident that most of your brain’s real estate is devoted to them. The extra brain power is needed because seeing is actually more difficult than playing chess or solving calculus problems. In an empty room are a candle, some matches, and a boxof tacks. The goal is to have the lit candle about five feet offthe ground. You’ve tried melting some of the wax on thebottom of the candle and sticking it to the wall, but thatwasn’t effective. How can you get the lit candle to be fivefeet off the ground without your having to hold it there? Even though our brains are not set up for very efficient thinking, people actually enjoy mental activity, at least in some circumstances. They have hobbies like solving crossword puzzles or scrutinizing maps. They watch information-packed documentaries. They pursue careers—such as teaching—that offer greater mental challenge than competing careers, even if the pay is lower. Not only are they willing to think, they intentionally seek out situations that demand thought. Solving problems brings pleasure. When I say “problem solving” here, I mean any cognitive work that succeeds; it might be understanding a difficult passage of prose, planning a garden, or sizing up an investment opportunity. There is a sense of satisfaction, of fulfillment, in successful thinking. In the last 10 years, neuroscientists have discovered that there is overlap in the brain areas and chemicals that are important in learning and those that are important in the brain’s natural reward system. Many neuroscientists suspect that the two systems are related, even though they haven’t worked out the explicit tie between them yet. It’s notable too that the pleasure is in the solving of the problem. Working on a problem with no sense that you’re making progress is not pleasurable. In fact, it’s frustrating. And there’s not great pleasure in simply knowing the answer either… Even if someone doesn’t tell you the answer to a problem, once you’ve had too many hints you lose the sense that you’ve solved the problem and getting the answer doesn’t bring the same mental snap of satisfaction. Mental work appeals to us because it offers the opportunity for that pleasant feeling when it succeeds. But not all types of thinking are equally attractive. People choose to work crossword puzzles, but not algebra problems. A biography of the vocalist Bono is more likely to sell well than a biography of the poet Keats. What characterizes the mental activity that people enjoy? So if content is not enough to keep your attention, when does curiosity have staying power? The answer may lie in the difficulty of the problem. If we get a little burst of pleasure from solving a problem, then there’s no point in working on a problem that is too easy—there’ll be no pleasure when it’s solved because it didn’t feel like much of a problem in the first place. Then too, when you size up a problem as very difficult, you are judging that you’re unlikely to solve it, and therefore unlikely to get the satisfaction that would come with the solution. So there is no inconsistency in claiming that people avoid thought and in claiming that people are naturally curious—curiosity prompts people to explore new ideas and problems, but when they do, they quickly evaluate how much mental work it will take to solve the problem. If it’s too much or too little, people stop working on the problem if they can. What Does This Mean for the Classroom?Let’s begin with the question that opened this article: what can teachers do to make school enjoyable for students? From a cognitive perspective, an important factor is whether a student consistently experiences the pleasurable rush of solving a problem. So, what can teachers do to ensure that each student gets that pleasure? Be Sure That There Are Problems to Be SolvedBy “problem,” I don’t necessarily mean a question posed to the class by the teacher, or a mathematical puzzle. I mean cognitive work that presents a moderate challenge, including things like understanding a poem or thinking of novel uses for recyclable materials. This sort of cognitive work is, of course, the main stuff of teaching—we want our students to think. But without some attention, a lesson plan can become a long string of teacher explanations, with little opportunity for students to solve problems. So scan each lesson plan with an eye toward the cognitive work that students will be doing. How often does such work occur? Is it intermixed with cognitive breaks? When you have identified the challenges, consider whether they are open to negative outcomes like the students failing to understand what they are to do, or students being unlikely to solve the problem, or students simply trying to guess what you would like them to say or do. Respect Students’ Limited Knowledge and Space in Working MemoryWhen trying to develop effective mental challenges for your students, bear in mind the cognitive limitations discussed here. For example, suppose you began a history lesson with a question: “You’ve all heard of the Boston Tea Party; why do you suppose the colonists dressed as Indians and dumped tea in the Boston harbor?” Do your students have the necessary background knowledge in memory to consider this question? What do they know about the relationship of the colonies and the British crown in 1773? Do they know about the social and economic significance of tea? Could they generate reasonable alternative courses of action? If they lack the appropriate background knowledge, the question you pose will quickly be judged as “boring.” If students lack the background knowledge to engage with a problem, save it for another time when they have the knowledge they need. Equally important is the limit on working memory. Remember that people can only keep so much information in mind at once. Overloads to working memory are caused by things like multistep instructions, lists of unconnected facts, chains of logic more than two or three steps long, and the application of a just learned concept to new material (unless the concept is quite simple). The solution to working memory overloads is straightforward: slow the pace and use memory aids, such as writing on the blackboard, that save students from keeping as much information in working memory. Identify Key Questions and Ensure That Problems Are SolvableHow can you make the problem interesting? A common strategy is to try to make the material “relevant” to students. This strategy sometimes works well, but it’s hard to use for some material. I remember my daughter’s math teacher telling me that he liked to use “real world” problems to capture his students’ interest, and gave an example from geometry that entailed a ladder propped against a house. I didn’t think that would do much for my 14-year-old. Another difficulty is that a teacher’s class may include two football fans, a doll collector, a NASCAR enthusiast, a horseback riding competitor—you get the idea. Our curiosity is provoked when we perceive a problem that we believe we can solve. What is the question that will engage students and make them want to know the answer? One way to view schoolwork is as a series of answers. We want students to know Boyle’s law, or three causes of the U.S. Civil War, or why Poe’s raven kept saying “Nevermore.” Sometimes I think that we, as teachers, are so eager to get to the answers that we do not devote sufficient time to developing the question. But it’s the question that piques people’s interest. Being told an answer doesn’t do anything for you. When you plan a lesson, you start with the information you want students to know by its end. As a next step, consider what the key question for that lesson might be, and how you can frame that question so that it will be of the right level of difficulty to engage your students, and will respect your students’ cognitive limitations. Reconsider When to Puzzle StudentsTeachers often seek to draw students in to a lesson by presenting a problem that they believe interests students, or by conducting a demonstration or presenting a fact that they think students will find surprising. In either case, the goal is to puzzle students, to make them curious. This is a useful technique, but it’s worth considering whether these strategies might also be used not at the beginning of a lesson, but after the basic concepts have been learned. For example, a classic science demonstration is to put a burning piece of paper in a milk bottle and then put a boiled egg over the bottle opening. After the paper burns, the egg is sucked into the bottle. Students will no doubt be astonished, but if they don’t know the principle behind it, the demonstration is like a magic trick—it’s a momentary thrill, but one’s curiosity to understand may not be long lasting. Another strategy would be to conduct the demonstration after students know that warm air expands and that cooling air contracts, potentially forming a vacuum. That way they can use their new knowledge to think about the demonstration, which is no longer just a magic trick. Act on Variations in Student PreparationI don’t accept that some students are “just not very bright.” But it’s naïve to pretend that all students come to your class equally prepared to excel; they have had different preparation, as well as different levels of support at home, and they will, therefore, differ in their current abilities. If that’s true, and if what I’ve said in this article is true, it is self-defeating to give all of your students the same work or to offer all of them the same level of support. To the extent that you can, I think it’s smart to assign work to individuals or groups of students that is appropriate to their current level of competence, and/or to offer more (or less) support to students depending on how challenging you think they will find the assignment. Naturally, one wants to do this in a sensitive way, minimizing the extent to which these students will perceive themselves as behind the others. But the fact is that they are behind the others; giving them work that is beyond them is unlikely to help them catch up, and is likely to make them fall still further behind. that you are shifting gears, virtually every student’s attention comes back to you. So plan these shifts and monitor your class’s attention to see whether you need to make them more often or less frequently. Keep a DiaryThe core idea presented in this article is that solving a problem gives people pleasure, but the problem must be easy enough to be solved yet difficult enough that it takes some mental effort. Finding this sweet spot of difficulty is not easy. Your experience in the classroom is your best guide. But don’t expect that you will remember how well a lesson plan worked a year later. When a lesson goes brilliantly well or down in flames, it feels at the time that we’ll never forget what happened; but the ravages of memory can surprise us, so write it down. Even if it’s just a quick scratch on a sticky note, try to make a habit of recording your success in gauging the level of difficulty in the problems you pose for your students. …children with good self-regulation are aware, flexible, and creative—and, importantly, they are empowered to reason for themselves. “Selfregulation is a much bigger deal than simple self-control. It’s not just the ability to pause behavior, but it’s having the flexibility to pivot behavior…the ability to blaze a trail toward a goal, while still preserving trust and reciprocity in those around you.” With greater self-regulation, not only will children be more psychologically healthy, but they’ll also be more altruistic, kind, and connected with their community. Self-control in young children has regressed by two years since the 1940s. Empathy has declined among college students over 30 years, and creativity and critical thinking have declined over 20 years, especially among children in kindergarten through third grade. We’re headed in the wrong direction if we create good scholars and don’t create good people. Imagine the following scenario: Your eight-year-old son is repeatedly poked with a pencil by his classmate at school. How does he respond? He might endure the pokes without complaint by using willpower, or he might stay silent, succumbing to feelings of fear or powerlessness. He could lose his self-control and act out, attacking his classmate verbally or poking him back. Or does your son “self-regulate” by considering his options and resources, taking stock of his feelings and strengths, reflecting on past experience, and responding deliberately? 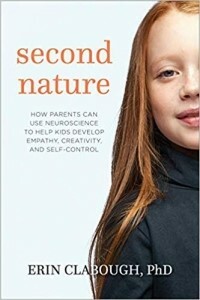 Self-regulation may sound like a tall order—but it’s also the best choice, according to Erin Clabough, a neuroscientist, mother of four, and author of the book Second Nature: How Parents Can Use Neuroscience to Help Kids Develop Empathy, Creativity, and Self-Control. Self-regulation is a skill that we need whenever we want to make a good choice or work toward a goal, especially when strong feelings are involved—in ourselves or others. 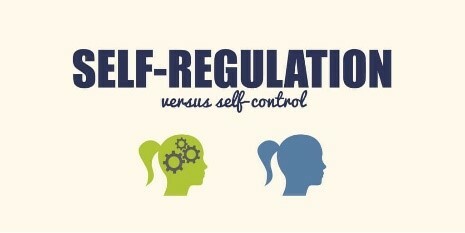 Unfortunately, the qualities that support self-regulation are on the decline among American children. Self-control in young children has regressed by two years since the 1940s. (On the same task—standing still while not moving—today’s seven year olds perform the way five year olds did earlier, and today’s five year olds perform like the earlier three year olds.) Empathy has declined among college students over 30 years, and creativity and critical thinking have declined over 20 years, especially among children in kindergarten through third grade. If we want to live in a civil, peaceful, and productive society, interrupting those trends is imperative. In her book, Clabough weaves developmental neuroscience with anecdotes from her family life to explain how parents can help children cultivate empathy, creativity, and self-control, and more importantly why they should. Together these qualities support a child’s ability to self-regulate in a balanced way, leading to greater personal fulfillment, better relationships, and enhanced success in life. Over the course of the book, Clabough draws a distinction between the multi-faceted self-regulation and self-control. Self-control has received a great deal of attention following the famous “marshmallow test,” which has been cited for decades. In this classic 1970 study, 1,000 four to six year olds were given a small reward (one marshmallow, pretzel, or cookie) but could choose not to eat it and wait for a larger reward later (more treats). Longitudinal studies showed that the children who could delay gratification had higher SAT scores in adolescence and better health, higher income, and lower crime rates 40 years later. The ability to delay gratification in early childhood was a better predictor of later success than intelligence or social class. But the marshmallow experiment may not mean what we think it means. As Clabough writes, it might actually have tested children’s obedience, how they felt about authority figures, or whether they trusted adults. Or it might have tested how much a child liked marshmallows, whether they wanted to wait, or whether they even had developed the capacity to (e.g., older children were better delayers than younger children). In addition, Clabough argues, self-control is an incomplete goal, because it’s ultimately about not acting—something parents and teachers might find desirable in children, but not the only key to success in life. Self-regulation, on the other hand, is about taking action, she says, and teaching it should be a parenting goal. Someone with good self-regulation does have self-control and can, for example, stifle an initial gut reaction when necessary. But they also use creativity and empathy to consider alternative avenues that can help them accomplish their goals. They consider rules, but they also might creatively reframe them or invent new ones. In order to decide on an action, they take into account their own feelings and concerns, but they’re also empathic and consider other people’s perspectives in complex social situations. For example, your son who is being poked might first read the other child’s motivations—is the poking in fun and a continuation of recess play, is it a distressed call for help, or is it taunting and part of a bullying pattern? What are your son’s goals—does he want to continue the fun, is he trying to concentrate, or does he need help? Creativity allows him the freedom and flexibility to respond with a joke, or assert a boundary, or involve an adult; self-control allows him to thoughtfully make this choice rather than instinctively react. Second Nature is probably the first, most applicable primer on brain development for non-scientists that neither overwhelms nor oversimplifies. Clabough describes stages of brain development to help parents have more appropriate expectations: What are children capable of, neurologically, at different ages? Which limitations can be gently stretched, and where do children need extra support? For example, she reports that while play in early childhood is important for creativity, today’s kids have fewer opportunities to play in early childhood classrooms, a trend that should be reversed. Clabough offers a simple, friendly, but thorough description of the fundamental neurological processes of synaptogenesis (the formation of synaptic connections), pruning (the elimination of synaptic connections), and myelination (the insulation of connections to speed up transmission). It’s helpful for parents to know that they are actually reinforcing synaptic connections and shaping and remodeling neural circuits via the experiences, habits, and routines they offer to children. And what parents don’t do is as important as what they do. Clabough describes parenting approaches grounded in developmental science, including scaffolding (providing a framework or template for children to learn and practice new skills) and modeling (demonstrating self-regulation as a parent), along with supporting children’s autonomy and helping them reflect on their experiences. My favorite chapters in Second Nature are the how-to’s, in which she offers specific parenting guidance, hacks, and shortcuts. For example, she points out that brain cells that are working hard to maintain self-control use glucose at a faster rate, so one tip is to “feed your tantrum-thrower ASAP.”She even points out how power structures affect self-regulation: Long-held privilege can erode empathy, making it harder to consider someone else’s point of view, while chronic disadvantage can be harmful to children. In her own family, she finds ways to switch up and equalize the power dynamics among the siblings—for example, by letting the youngest dole out treats or speak first, asking an older sibling to teach a younger one, exposing her children to different cultures, and encouraging friendships across ages and groups. This kind of sensitivity makes the book feel especially thoughtful and expansive. Once in a while, Clabough strays into territory where scientific opinion varies or isn’t available yet. For example, she suggests that children who are bullied should “find a grownup,” but the current research doesn’t support such a simple approach. (We know that some grownups aren’t sympathetic or skilled and that most teenagers don’t want to turn to a grownup.) Instead, today’s research points to two key solutions to bullying: developing social and emotional skills in children and adults, and creating a positive school climate. Additionally, Clabough advises parents to confront other people’s children, or intrude in children’s social networks, to help set ground rules for their interactions—but a larger, more nuanced discussion is needed there. She also champions one or two social and emotional learning (SEL) programs that cultivate mindfulness without exploring the benefits of other SEL programs that have been proven to enhance self-understanding and social skills along with self-regulation. (Full disclosure: I have an affiliation with the Yale Center for Emotional Intelligence.) I am heartened, though, by Clabough’s suggestion that children and adults alike should learn how brains grow and develop. Adults can only teach what they understand and embody, and the field of developmental neuroscience is rapidly advancing. Issues of anxiety/depression top of our teens’ biggest concerns – and that may be a good thing. A recent report released by the Pew Research Center finds that issues surrounding anxiety and depression in our teens top all other concerns including bullying, drug addition, alcohol consumption, poverty, teen pregnancy, and gang involvement. The article included below (summarizing the research), highlights the apparent causes of anxiety/depression as a greater exposure to terror and acts of violence as well as an addiction to social media posting in which a teen measures his or her worth based on the posts of others and the “likes” of their own posts. It’s a trying time for our teens – where all news, all photos, all events have wide exposure and go viral very easily. But, I also believe that bringing issues of anxiety and depression to the forefront is a good thing. This generation is much more comfortable talking about depression than previous ones. I fully credit parents, teachers, and counselors who have worked to remove the stigma from issues of mental health, encouraging students to voice their concerns. In fact, the article indicates, that “increased rates of mental health issues could also be tied to better screening practices.” We’re doing a better job identifying issues and we’re better at addressing those issues as a society. Making sure our students can self-advocate for their needs is a sign of a healthy approach to mental health. Click here for the website of the Pew research. Click here for a PDF of the Pew research. (If you have trouble accessing, email psmith@easthamptonct.org and I will send the PDF to you.) Please talk to our teens. Seven out of ten students asked, see anxiety and depression as the top problem facing teens. Ask them how we as a school can help them. Ask them how you as a teacher, mentor, or parent can help them. Teenagers Say Depression and Anxiety Are Major Issues Among Their Peers By Karen Zraick in the New York TimesMost American teenagers — across demographic groups — see depression and anxiety as major problems among their peers, a new survey by the Pew Research Center found. His center often helps children distinguish between the possible and the probable, to help put anxiety about frightening but rare events in proper context. Another major stressor is constant surveillance by peers on social media, and the “fear of missing out” it can generate, he added. Again, he said, guidance about how to understand social media — for example, a person taking 50 photos to get one perfect image — can help to dispel anxiety. Increased rates of mental health issues could also be tied to better screening practices, noted Lynn Bufka, an associate executive director at the American Psychological Association. But it is still cause for concern, she said. Teenagers are dealing with rapid changes to their bodies, hormones and lives in an era of nonstop information overload, and they need help developing coping strategies. “It becomes really important for the adults around teens to be stable influences in their lives, to give them space for them to talk,” she said. Dr. Bufka said her top advice for adults worried about teenagers in their lives was simple: Listen, without “pouring on advice” or judging too much, and give them the opportunity to talk to a counselor or psychologist if needed. “Let them know that you’ve got their back,” she said. Social and Emotional Learning (SEL) is an important foundation for life-ready learning and academic learning. How do you define success? Take a few moments to think about the definition of success you hold for your children. We know that we want our students to be academically successful. We know we want them to be prepared for college and/or careers. We know that we want our children to experience life-ready learning as they get ready for life’s biggest challenges. And, of course, we want our children to be happy, well-adjusted people. That’s a pretty big set of expectations – but certainly not an unrealistic list of expectations for any of us to have for our children. In several of the past Updates, I have taken time to include articles on Social and Emotional Learning, which I believe is a foundation for academic learning and life-ready development in our children. We need to focus on SEL skills to provide a foundation on which we will build (1) the acquisition of the transferable skills of the Profile of the Graduate for future success, (2) the achievement of academic skills for success in college and careers, and (3) the foundation of positive mental health & well-being. Transferable Skills rely on SEL!If you look at the transferable skills that we are promoting in the East Hampton Profile of the Graduate, the SEL skills on the previous page serve as basic foundations that must be in place in order to promote the type of skills and life ready learning experiences we want our children to have in schools. Review the skills at each grade level of the Profile of the Graduate and realize that without a strong foundation based on the skills listed on the SEL chart, a student cannot achieve the transferable skills of the Profile of the Graduate considered to be important by our own school community in propelling our students into future success. Academic Skills rely on SEL! A recent McKinsey report (shared in an earlier Update) included support for SEL to promote academic achievement. “Studies show social and emotional competencies can increase cognitive skills, measured by academic achievement tests, by up to 11 percent. In fact, student mindsets are twice as predictive of a student’s academic achievement than their home environment or demographic, according to a McKinsey analysis.” The research cited is by Durlak et al. The Impact of Enhancing Students Social and Emotional Learning. If you would like a copy of the research email: psmith@easthamptonct.org. Mental Health & Well-Being rely on SEL Skills! There is as much of a need to address and support the mental health development and well-being of our students as their acquisition of transferable skills and academic skills for the sake of their future success. Life for most of us in today’s world takes a toll on our emotional, psychological, and physical well being. Research demonstrates that people are not emerging from our educational system with the mental framework and associated mental capacities to adequately meet the overwhelming demands of modern life. This inadequacy leaves most people with growing levels of anxiety and depression; disconnection from their experiences of joy, love, happiness, and inner peace; and a lack of sense of purpose in life with related personal and professional meaning. Parents play a role, too! Take a peek at the article below. If we can give our students a sense of “agency,” a feeling that they “control their own destiny,” we give them a great gift. From 1960 until 2002, high school and college students have steadily reported lower and lower levels of internal locus of control (the belief that they can control their own destiny) and high levels of external locus of control (the belief that their destiny is determined by external forces). This change has been associated with an increased vulnerability to anxiety and depression. In fact, adolescents and young adults today are five to eight times more likely to experience the symptoms of an anxiety disorder than young people were at earlier times, including during the Great Depression, World War II and the cold war. The Key To Raising A Happy Child by Chris Kindred, NPR (An interview with Stixrud and Johnson, authors of The Self-Driven Child.For much of the past half-century, children, adolescents and young adults in the U.S. have been saying they feel as though their lives are increasingly out of their control. At the same time, rates of anxiety and depression have risen steadily. What's the fix? Feeling in control of your own destiny. Let's call it "agency." I think that the self-driven child is driven by internal motivation as opposed to other people's expectations, rewards, insecurity or fear. To be self-driven, kids need to have a sense of control over their lives and are energetic about directing their lives in the direction they want to go. When I used to do therapy — I'm going back 30 years now — I'd see family after family that said, "I hate the time after dinner at our house because it's World War III." And I was struck by how many of these meaningless fights would happen over homework — completely unproductive fights, hugely stressful, pitting the kid against his parents. You say the best way to motivate a child for the things you think he should focus on is to let him spend time on the things he wants to focus on. Why?There's a scientist by the name of Reed Larson who studies adolescent development with a strong focus on motivation. And he concluded some years ago that the best way to develop a self-motivated, older-adolescent adult is to encourage their participation in their pastimes — in the stuff they love. Everyone has their own opinion on how much screen time is good for children. And, while I agree it should be limited, it doesn’t mean that time on screen is bad for them. Jordan Shapiro’s book is for you if you want to navigate through the world as it relates to our children and how they are learning. His claim is that our children are growing up in an age that is very different that the age in which most of us grew up. As a result, they are experiencing youth in a way that is preparing them for their own world, their own future. The book is a phenomenal guide offering advice for nervous parents! It’s also a great read for teachers as the children in your classroom are learning for a future that most of us cannot imagine! From The New Childhood – Raising Kids to Thrive in a Connected World by Jordan ShapiroI’ve listened to concerned parents, teachers, and caregivers… Sounding exactly like the worried technophobes of centuries past, they are vexed about how digital play is defiling childhood, causing neurological damage, ruining eyesight, creating an obesity epidemic, triggering depression, and keeping our kids indoors. Are our kids losing the ability to reflect and be introspective? Does the speed and ease of digital communication prevent them from learning how to be good conversationalists? Are they learning to log off rather than resolving everyday conflicts? Will emotions and 280-character tweets corrode literacy? Will easy, ready-at-hand access to constant interactive stimulation hinder the next generation’s ability to cultivate critical thinking skills?The simple answer to all these questions is no. I know parenting is hard. Especially when you don’t really understand the game. There is no rule book describing what it is supposed to look like in the twenty-first century because digital play-like all the other transformative technological shifts that came before – is changing the very nature of childrearing. Parents, teachers, and caregivers all need to think critically and intentionally about how they can and should adjust their habits, expectations, and customs accordingly. The future is already here. We are now living, learning, and teaching in a connected world. And it’s not just the technology. Yes, digital tools bring us together: they allow us to communicate in spectacular ways. But they represent only one example of the “networked” phenomenon. There’s also globalization, worldwide economic interdependence, faster transportation, migration, urbanization, and more. We have all become global citizens of a connected world. Now, everyone needs to cultivate a capacity for connected thinking. To live and thrive in the 21st century, today’s children require more than just the ability to operate the tools of the times. They also need to develop the dispositions, knowledge, and skills required to understand the world, to make sense of how a globalized economy shapes their lives, and to consider how they can contribute to a worldwide community. This guide can help grownups prepare children for tomorrow. Adults can leverage connected tools to create opportunities for meaningful digital play. Using the platforms and technologies that kids already love, teachers, parents, and caregivers can introduce young people to some of the most complex geopolitical, economic, and environmental issues that shape our world. We can nurture macro-minded citizens who are ready to live productive, engaged, and fulfilled lives in a globalized world. For the past several years, Jordan Shapiro has been busy writing and speaking about games and digital play. He’s a senior fellow for the Joan Ganz Cooney Center at Sesame Workshop, a think tank dedicated to researching how children interact with media, and a nonresident fellow at the Center for Universal Education, which is part of the Brookings Institution. He teaches at Temple University, in Philadelphia, where he lives.I caught up with Shapiro recently to discuss his new book, The New Childhood: Raising Kids to Thrive in a Connected World, which examines the importance of digital play, as well as ideas for teaching and parenting kids.FARBER: In your book, you often use the phrase digital play to describe ways children can learn today. How do you define digital play? Learn about the best ways to educate students in our digital world – their ever-evolving home! If you recall the movement that promoted “self-esteem,” you may have a very wrong impression when you hear the term, “self-compassion.” The goal in self-compassion is about being kind to oneself. Knowing that we are often more kind to others than ourselves, all of us can benefit from the practice of self-compassion, not just students. This article is a nice follow up to last week’s article on being a “warm demander.” Can you help your students or your own children increase their own self-compassion? Read below to see the resulting benefits of self-compassion on academic motivation and growth mindset. Adults can also model how they process challenges. “When you fail or make a mistake, talk it through out loud with your kids. Use language that communicates, ‘It’s OK to make mistakes. Now what can I learn from this?’ ” Compassionate selftalk reminds us of our common humanity, the inevitability of mistakes, and our ability to bounce back and keep going. It shifts the self-talk from “I am a failure — I am so ashamed of myself” to “Everyone messes up sometimes — let’s see what I can learn from this situation so I can try again.” In this way, self-compassion helps us move on to problem-solving faster, said Neff. Instead of getting stuck in a loop of negative thoughts and feelings, we can take a deep breath and move on to what to do next. To make self-compassion a concrete idea for children, ask them to compare how they treat themselves to how they treat a friend. When we treat ourselves with the same kindness and care that we offer a good friend, we are practicing selfcompassion. “By age 7, children have learned about the concept of friendship. A lot of their developmental energy is spent on learning how to be a good friend,” said Neff. So when students are feeling frustrated or upset, ask them, “What would you say to a friend in this situation?” This simple question can help students reflect on the situation and reframe their response. If you would like a brief introduction to the writing of Dr. Kristen Neff, email me at (psmith@easthamptonct.org) and I will send you a PDF copy of “The Science of Self Compassion.” The PDF is a brief introduction to her thoughts on self-compassion which were later expanded into the book form below. Are you a “warm demander? Warm demanders expect a great deal of their students, convince them of their own brilliance, and help them to reach their potential in a disciplined and structured environment. Studies show social and emotional competencies can increase cognitive skills, measured by academic achievement tests, by up to 11 percent. In fact, student mindsets are twice as predictive of a student’s academic achievement than their home environment or demographic, according to a McKinsey analysis. Social-emotional skills provide students with the perspective and flexibility necessary to function at a high level even when faced with uncertainty, change, pressure, stress, and other work and life challenges. This is critical, because change and uncertainty are going to be increasingly pervasive for the class of 2030. Trends indicate the class of 2030 will change jobs more frequently than any previous generation, as across nearly all industries, the impact of technological and other changes is shortening the shelf life of employees’ existing skill sets. The author speaks to the skilled practitioner in the classroom as a “Warm Demander.” Do you match the definition? Relationships are critical in the learning lives of students. The relationship between teacher and student exerts a strong influence on achievement, reported by Hattie (2009) as having an effect size of .52. As well, when we strive to build relationships with students, we model how it is that they can do so with others, including peers. Therefore, before discussing ways to foster peer relationships, it is crucial that we attend to how we ourselves model by example the kinds of healthy relationships we want in our classrooms. Know students' names and know how to pronounce those names correctly. expressions, and how this can make students feel welcomed (or not). Make positive connections with students' families through home visits, phone calls, or e-mail. Provide quality instruction that is relevant for students. There is an adage in education that students don't care how much you know until they know how much you care. Caring is an important part of a relationship. When we use people's names correctly, speak to them about their interests, and seek to make connections to their lives, we are drawing a blueprint for how relationships are built. We exhibit caring behaviors so that in turn students can use them with each other. Effective student-teacher relationships are trusting and supportive, but they are also characterized by high expectations. In other words, "caring" is not just about "being nice." Students expect to be challenged and supported; what they need are teachers who are "warm demanders" (Vasquez, 1989). Delpit (2012) notes that warm demanders "expect a great deal of their students, convince them of their own brilliance, and help them to reach their potential in a disciplined and structured environment" (p. 77). That's the type of relationship that accelerates learning. When it comes to practical things you can do to position yourself to be a warm demander, we direct you to the work of Mark Finnis (2018) of Independent Thinking, who has developed a list of 33 ways to build better relationships with students (see Figure 5.1). 1. Be who you needed when you were at school. 3. Make regular deposits into the "social capital" bank. 4. Small ripples create big waves; do the simple things well. 5. Don't worry about doing things 100 percent better; rather, do 100 things 1 percent better. 6. Know your children well and allow them to know you well. 7. Don't be afraid of the "L word" … Love. Spread it thick. 8. Some children come to school to learn, others to be loved. 9. Every child (and adult) needs a champion. 10. Engagement has three forms: physical, emotional, and mental. 11. The language we use creates the reality we experience. 12. "Difficult child" or "child with difficulties"? "Troubled family" or a "family with troubles"? 13. Get involved earlier in the life of the child, earlier in the life of the problem. 14. Separate the deed from the doer. 15. Healthy relationships are built on high challenge and high support. 16. Punishment creates resentment rather than reflection. 17. There are always three truths: my truth, your truth, and the truth. 18. The best apology is changed behavior. 19. The "small stuff" is the big stuff. 20. Create a sense of belonging. 21. Catch them getting it right more than you catch them getting it wrong. 22. Magnify strengths rather than weaknesses, and focus on gifts rather than deficits. 23. The language we use to describe an experience often becomes the experience. 24. Difficult conversations—do they have to be? Remember, there is no easy way to poke people in the eye. However we do it, it's going to sting a little. 25. Strike when the iron's cold. 26. We learn to care by being cared for. 27. If you're not modeling what you're teaching, you're teaching something different. 28. Listening is what you do to understand, not time spent simply waiting to reply. 29. Silence isn't a gap in the conversation; it is part of the conversation. 30. Culture exists in every organization, but is yours by design or by default? 31. Everything looks better when you put it in a circle. 32. Smile at children; it's good for you both. 33. There is always another way. Source: Adapted with permission from "33 Ways to Build Better Relationships," by M. Finnis. Copyright 2018 by Independent Thinking. Peer RelationshipsWhen students experience healthy, growth-producing relationships with their teachers, they are more likely to mirror those actions and behaviors with their peers. By teaching students to engage with peers and develop respect for one another, we provide them with avenues for dealing more productively with problems. Students with healthy relationships tend to work through issues rather than express their anger on a social media platform or with their fists. Although peer relationships require more than modeling from adults, the examples adults provide students set the expectations for their interactions with others. Feeling a sense of belonging to a group is essential for our well-being as social animals. Adolescence is a particularly challenging time, and teenagers are especially vulnerable to feeling alienated and marginalized. At this developmental stage, relationships with peers grow in importance, and feeling disliked is associated with loss of learning, with a –.19 effect size (Hattie, 2009), equivalent to roughly a half a year of lost learning. A measure of relationships is the extent to which one feels a sense of relatedness to others—in other words, connected to others. Relatedness is defined as one's perception that peers care about you, respect you, and see you as a valued member of a group or team. A study of nearly 1,100 middle and high school students in 65 schools found that peer relatedness was stronger in classrooms where helping behaviors were valued, and where students had opportunities to interact academically with one another (Mikami, Ruzeck, Hafen, Gregory, & Allen, 2017). Although teachers are not able to make friendships materialize out of thin air, we can set the stage for relationships to strengthen among our students. Ninth grade history teacher Aja Buchanan structures her classroom so that students get to know one another from the first day. They introduce themselves by writing a short biography, then convert the text into a word cloud graphic of their own design. "They love seeing their work displayed," she smiled. "Never too old for that." She makes a point of making sure that she and everyone else in the room learns each other's names by the end of the first week, reinforcing that a sign of respect is using one another's names correctly. She designs her instruction to emphasize collaborative learning ("I tell them my goal is that about half of the instructional minutes during the week are going to be in small groups, so they should get used to it"), then proceeds to teach the communication skills needed to function well as a member of a team. "These are life skills, not just history skills. I tell them, 'If you're able to establish a relationship with other people quickly, it makes work and life just a little bit easier,'" said Ms. Buchanan. Another reason relationships with others are important is they help us develop our identity and agency. Mike Holmes's 5th grade class hosts a short "gratitude circle" once a week, during which students share their appreciation for each other. "This brief activity provides students a healthy transition back to the learning environment and some practice with oral language skills, not to mention relationship building," he said. At the start of the year, it's often hard for students to accept the compliments, Mr. Holmes told us. "They get better at it, though," he added. "I love to watch their confidence and pride in themselves grow." "Andrew, thank you for helping me today with my math problems. You didn't tell me the answers, but you helped me a lot." "Dulce, it made me happy when you invited me to play at lunch. I probably would have just sat at the table." "Najeed, you sing really good. Someday, you should sing for our class." "Taylor, you are so brave. I don't think you are afraid of anything." Finally, students who have a good relationship with their school and believe they are valued members of the school community will be likely to exhibit the desire to repair harm when it occurs. Our goal is for students to develop the habit of thinking before they act, reflecting on the actions they do take, and learning from the experience. Relationships students have with adults in the school can be highly influential in this process. Students who respect these adults don't often engage in problematic behavior. When they do, they have to face the adults they care about and make amends for what they have done. We also hope that our students reach the point when they care about the school as a whole, and decide not to take certain actions because they don't want the school to be affected in a negative way. This is a long-term goal that requires a significant amount of investment, but when students reach that pinnacle in their thinking, great changes occur. Welcome is our investment in policies for how students and their families feel a sense of belonging. Do No Harm is our investment in restorative practices. Choice Words is our investment in using language that supports students' sense of identity and agency. Never Too Late to Learn is our investment in policies related to academic and behavioral interventions. Best School in the Universe is our investment in ourselves as we engage in continuous improvement. We are reminded of Miguel, an 11th grader who was identified as credit deficient. He had been expelled at the end of the 9th grade and never attended 10th grade. He showed up at a school on the first day of what would have been his junior year only because his probation officer wanted evidence of his enrollment. He was defiant and disengaged (but at least he was in school). Miguel made several mistakes and had poor attendance. Yet there was an English teacher who made a connection with him. She would advocate for him every time something went wrong. She started brokering relationships between him and other teachers, and Miguel's behavior started to change. At one point he said his behavior changed because "these people here are trying and they really care. When I do something wrong it makes them all look bad. I don't want it to reflect on this school, so I keep my *$%# together now." Yes, one bad word but Miguel graduated and is working as a mechanic. That wouldn't have happened without a trusting relationship and the eventual development of respect for the school. Empathy, being able to understand the feelings of others, is an important component of relationship development. Although there is limited evidence that empathy can be directly taught, it can be developed by giving students opportunities to engage in empathetic responses. Some guidelines for fostering empathy advise educators to be aware of their own actions, integrate literature that allows students to explore empathy for historical and contemporary characters, and mirror empathetic responses to their students (e.g., Gerdes, Segal, Jackson, & Mullins, 2011; Gordon, 2009). Label the feeling. … students need to understand their emotional responses to various situations. An extension of that skill is being able to accurately identify the emotions of others. For example, a teacher might say, "I noticed that you went over to talk with Paul when he was sitting by himself. He might have felt lonely, or he might have wanted some time to think." Encourage students to talk about their feelings. … talking about feelings is an important part of SEL. For students to develop empathy, they need to learn to talk about the feelings of others, not just their own—and this includes the feelings of teachers and the characters students encounter in literature… This is easier for students to do when they are able to understand and label their own feelings. For instance, a teacher might say, "Listen to the dialogue in this scene once again. How would you describe how this character is feeling right now? What would you say to him?" Praise empathetic behavior. When students demonstrate empathy, it should be noted and appreciated. A challenge with empathy is that it's not always about positive feelings. When someone is hurt or sad, being empathetic means the student understands what it means to feel hurt and sad. A teacher might say, "You noticed that the game wasn't fair. You know what it feels like when something is not fair, and you talked with other students to make it more fair. I appreciate your efforts and I hope you are feeling proud of yourself." Teach nonverbal cues. With care, students can learn to notice nonverbal cues that indicate the emotional status of others. We say "with care" because it would be insensitive to stop a class and prompt everyone look at an angry or happy student and then talk about how that student is communicating emotion without words. It's easier to do this with videos and picture books, pausing at moments to identify the nonverbal cues for students. A teacher might say, "I'm really moved by the expression on this character's face in this picture. When you see someone with that expression, what do you do and say?" Don't use anger to control students. When teachers (and parents) use anger to control children, the children may comply—but it often comes at the cost of learning. When an adult says, "I'm very angry with you," or demonstrates anger non-verbally, students shut down and withdraw. Teachers can express disappointment and reset expectations, but when anger enters the interaction, learning is compromised. For example, rather than say, "I'm angry with you and you owe me five minutes of lunch," a teacher might say, "When you left the room without telling me, I was worried about your safety and that I was not doing my job. Can you tell me what was going on? What commitments can you make and what consequences seem reasonable?" Give students jobs that require empathy. Taking care of living things promotes empathy. Watering the plants in the classroom, monitoring the butterfly garden, or taking care of a classroom pet are just some ways to give students experience with empathetic responses. There is some evidence that students learn altruism and caring as they learn responsibility (e.g., Mattis et al., 2009). Being responsible for distributing and collecting materials also can help students develop an ethic of care and altruistic thinking. A teacher might ask a student, "Can you make sure that Madeline the rabbit has enough water? It's our responsibility to make sure she has what she needs." There is evidence that empathy develops as students explore literature and discuss the actions of characters. For example, the students in Jose Herrera's 5th grade class were reading The One and Only Ivan (Applegate, 2015), the story of a gorilla who lives in a cage in a shopping mall. Told from Ivan the gorilla's point of view, readers learn that he seems satisfied until he reevaluates his life from the perspective of a baby elephant taken from her family. The students in Mr. Herrera's class discussed the story, acknowledging not only the anthropomorphism but also the feelings that the author assigned to the gorilla. One of the students said, "It's not just about Ivan. This is how people would feel if they lost a family member." Another student noted, "You can't always fix things, but you can be a friend." We'd like to share an additional strategy drawn from restorative practices that can foster empathy with students and equip them with another communication technique. Affective statements allow teachers (and eventually students) to express their feelings and emotions by using "I" statements. This shifts the dynamic of the conversation away from accusatory "you" statements that can leave the other person feeling defensive. This simple change can develop empathy because the technique shifts the discussion from talking to students to talking with them. Adding an "I" statement, then, is a way for you to voice your feelings and allow students an opportunity to respond. When teachers use "I" statements and provide background, students are better able to grasp what the teacher wants. These interactions are private and do not rely on public humiliation to control behavior. For example, placing your hand on a shoulder and quietly stating, "Taylor, it's hard for me to give good directions when you're talking at the same time," is likely going to be enough to redirect the behavior as an empathetic response, rather than temporary compliance. When the goal is behavioral compliance, demanding attention may work, at least temporarily. But students do not develop empathy when they are just told to obey. Conversations like this can change the narrative as student and teacher consider the other person's perspective. If you enjoy reading about the future – or near-future, 2030 is being spoken of as a beacon of change in the world of technology and careers. By the time today’s kindergartners enter the workforce, activities will substantially change across most occupations and will increasingly require the application of expertise and creative problem solving, as well as collaboration, management, and the development of people. The McKinsey Global Institute (MGI) estimates that, globally, about half the work people are paid to do today could be automated by existing technology by 2030, and up to 375 million people may need to switch occupational categories between now and then. Yet MGI also predicts that new jobs created by technology, rising incomes, and consumption as well as by investments in infrastructure and renewable energy will fuel strong growth in global employment. So, there will be plenty of jobs. Our commitment is to introduce STEM (Science, Technology, Engineering, and Math) programming throughout the district at a rate that has been unprecedented for East Hampton. But, along with STEM, we cannot ignore the skills needed for the future of life-ready learning. 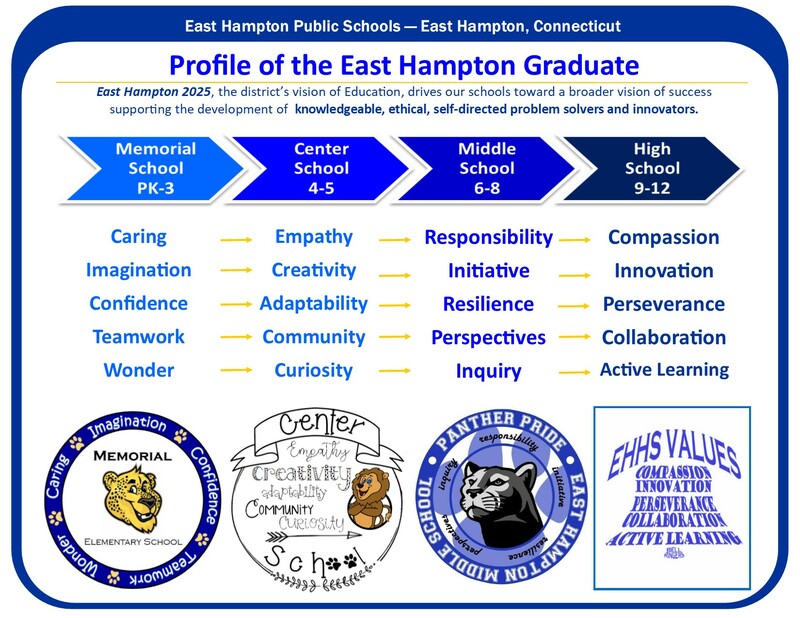 We have made a commitment to the skills identified in our East Hampton Profile of the Graduate. Whether you call them “soft skills” or, as I prefer, “survival skills” (Tony Wagner), social-emotional skills are now playing an ever-increasing role in education, in careers, in life – and are considered an equal partner to cognitive skills and content knowledge. The strongest signal from our study was the need for teachers, schools, and school leaders to help students develop stronger social-emotional skills. While not new in education, these skills are newly important and are taking center stage alongside cognitive skills and content knowledge in the classroom and in the workforce. For example, the rise of the gig economy, with its emphasis on short-term project work, is expected to further amplify the need for flexibility from students entering the workforce. In 2014, 91 million people worked in the gig economy in the U.S., according to tax forms filed with the IRS, or nearly 30 percent of the American population. In addition to the numerical rise in expected lifetime jobs among this generation, “on average, by 2020, more than a third of the desired core skill sets of most occupations will be comprised of skills that are not yet considered crucial to the job today, according to our respondents. Overall, social skills—such as persuasion, emotional intelligence, and teaching others—will be in higher demand across industries than narrow technical skills, such as programming or equipment operation and control. In essence, technical skills will need to be supplemented with strong social and collaboration skills.” These social competency-based hiring criteria are very familiar to large technology companies, where hiring for the ability to collaborate effectively or earn trust have long been part of both recruiting ethos and criteria for advancement. This chart shows the percentage point difference between teachers and students on the skills they prioritize most, based on the average priorities for each group across the four countries in the study.Social-emotional skills highlighted in yellow. Helping students develop greater social-emotional skills will not only help them in their professional lives but also will help them pursue happier and healthier personal lives. Research has found that high-level social-emotional skills developed during childhood are correlated with a number of beneficial long-term health and well-being outcomes as adults, including lower rates of obesity, substance abuse, and criminal activity, and greater satisfaction in relationships and positive contributions to society. Given the mounting evidence of the importance of social-emotional skills, their development should not be left behind. While most students will develop some amount of social-emotional skills incidentally— through influences in their environment, interactions with parents, teachers, and friends, and their own self-reflection—more needs to be done to proactively develop and apply these skills at the scale and depth the class of 2030 will need. Andreas Schleicher, Director for Education and Skills at the Organization for Economic Cooperation and Development (OECD), believes we should be teaching and rewarding collaboration as well as individual academic achievement, enabling students to think for themselves and to act for, and with, others. While the need for social-emotional skills is clear, our research highlighted differences between the social-emotional skills students and teachers prioritize and how well-equipped teachers feel to teach these skills. This variation was mirrored in how both groups described their experiences of social-emotional skills as part of the learning program. One critical area is feedback. We know feedback is one of the most effective ways to improve learning, yet only 33 percent of students across our four sample countries agreed or strongly agreed they receive feedback on social and emotional outcomes. We discovered differences in perception, too. Roughly 60 percent of teachers reported that they provide students with feedback on a range of skills, including social-emotional skills. But when we asked students a similar question, only 30 to 40 percent agreed that they receive feedback on their social-emotional skills. Among the teachers we surveyed, 63 percent said they intentionally integrated social-emotional skill-building into lessons and other learning experiences while the remaining 37 percent taught it opportunistically, if at all. While 63 percent of teachers embracing social-emotional learning is encouraging, the growing mismatch between job requirements and available talent suggests that more needs to be done. Using principles from learning science, schools and school systems can design programs and curricula to intentionally teach and scale social-emotional learning. A 2011 meta-analysis of school-based social-emotional interventions found that programs that employ best practices—such as using sequenced activities, applying active learning strategies, allocating specific time for skill development, and using clear learning objectives— have a positive, statistically significant effect. There is a path for schools and teachers to develop skills that are critical to work and life outcomes for the class of 2030. We studied several existing approaches and found two with especially strong promise to support both social-emotional and cognitive skill development at scale: employing curricula that explicitly promotes social-emotional skills and personalizing learning to the needs of each student. Both strategies require giving teachers greater flexibility in their curriculum choices and more time for direct interactions with students. Many schools and school systems are already tackling the challenge of preparing the next generation for life, learning, and living by explicitly prioritizing social-emotional skills. Singapore’s Ministry of Education established a framework of social and emotional outcomes that is integrated into the national curriculum, including suggested pedagogy and assessment strategies. Social and emotional skills are taught explicitly during a guidance period, and all teachers are expected to integrate and model social-emotional skills in their classrooms. In Australia, the Australian National Curriculum identifies “general capabilities,” including the personal and social capability, which addresses self-management, self-awareness, social management, and social awareness. These capabilities are intended to be addressed in all learning areas and at every stage of a student’s schooling. Curriculum areas with the highest proportion of content descriptions tagged with personal and social capability are provided to teachers through the online curriculum portal. And in the U.K., a 2015 review of social-emotional programs found several with significant positive impact on students’ social-emotional skills including coping skills, self-esteem, resilience, problem-solving skills, and empathy. All of these are encouraging signs that educators around the world are sharpening their focus on developing their students’ social-emotional skills. Our survey suggests that an especially promising way to accelerate social-emotional skill development will be for teachers and schools to take greater advantage of personalized learning approaches, which are increasingly leveraging technology to give teachers new and broader ways to measure students’ progress on key competencies and to help customize instruction to meet individual needs. Who do we want our children to be? Recent studies have shown that society places a greater value on personal success over caring for others. The results are the same for parents speaking of their children and children speaking of themselves. However, I think one of the strongest commitments of our East Hampton Schools over the last several years have been their emphasis on caring, kindness, and compassion. I would like to think that our own children would respond to any survey regarding success and caring in a way that reflects the actions we see in our various community service projects throughout the district. It doesn’t mean that we stop being relentless in our goal to raise compassionate children. Ensuring success requires that we constantly address concerns during students’ travels through our schools and during their own development as caring adults. If we plan to raise children who value caring for others, we must collectively as teachers, parents, community members look at our own behavior and model the type of dialogue, support, and caring we hope to see in our children. Let’s raise the bar on compassion for our children to model (see article 1 below). Students who define their own success as inclusive of others’ success will typically be strong “upstanders” in our society (see article 2 below). We recently released a report entitled “The Children We Mean to Raise“ which suggests that a large majority of youth value personal success (achievement and happiness) over caring for others. We asked youth to rank what was most important to them: achieving at a high level, happiness (feeling good most of the time) or caring for others. Almost 80% of youth picked high achievement or happiness as their top choice, while roughly 20% selected caring for others. A root of this troubling finding may be the messages that parents are unintentionally sending. According to various surveys, parents say they want children to be caring and respectful and value their children being caring more than their achievements. But according to the youth we surveyed, their parents appear to put achievement above caring. The problem, based on our observations of and conversations with parents, seems to be that the volume and power of messages that prioritize achievement and happiness are drowning out whatever messages we send about the importance of caring and responsibility for others. The good news about all this is that our findings seem to have struck a chord with a wide variety of audiences and people are talking about our findings. But while awareness is good, we need to act. As we point out in our report, it starts with adults’ behavior. 2. Provide ongoing opportunities for children and youth to practice caring and helpfulness, sometimes with guidance from adults. Children are not simply born good or bad and we should never give up on them. A good person is something one can always become, and throughout life we can develop our ethical capacities. Learning to be caring and to lead an ethical life is like learning to play an instrument or hone a craft. Daily repetition — whether it’s helping a friend with homework, pitching in around the house, having a classroom job, or working on a project to reduce homelessness — and increasing challenges make caring second nature and develop and hone children’s care-giving capacities. With guidance from adults and with practice, children can also develop the skills and courage to know when and how to intervene in situations when they and others are imperiled. They can become effective upstanders or first responders. 3. Children and youth need to learn to zoom in, listening closely and attending to those in their immediate circle, and to zoom out, taking in the big picture and considering multiple perspectives.It is by zooming out and taking multiple perspectives, including the perspectives of those who are too often invisible (such as the new kid in class, someone who doesn’t speak their language or the school custodian) that young people expand their circle of concern and become able to consider the justice of their communities and society. 4. Be a strong moral role model. Being a role model doesn’t mean that we need to be perfect or have all the answers. It means grappling with our flaws, acknowledging our mistakes, listening to our children and students and connecting our values to their ways of understanding the world. It means that we, too, need to continually practice and zoom in and out, cultivating our capacities for care, widening our circles of concern and deepening our understanding of fairness and justice. The “we” part comes next, when we realize that as much as we do as individuals, we need to work together to change the messages our children hear about the definition of success and what it means to be an ethical member of a community. To begin, we’ll have to stop passing the buck. While Americans worry a great deal about children’s moral state, no one seems to think that they’re part of the problem. Parents often blame other parents. Our research suggests that teachers tend to blame parents and sometimes other teachers. It is clear that we all need to take a hard look at the messages we send to children daily and reflect together on what different messages we might work to collectively send. Finally, when putting these four principles listed above into practice, some values — especially achievement — play out quite differently across class, race and culture. For many teens, achievement is, for example, about concern for others: it’s a means to provide for their family, contribute to their communities and honor their parents’ sacrifices for them. It’s important for all of us who work with children to be mindful of these differences. Being a role model for your kids and talking with other adults — and with kids — about making caring common seems obvious and easy, but in fact it’s hard. It requires awareness of your actions; it requires setting aside time to talk about ethics and justice. It can take us out of our comfort zones. But that’s what we expect of our children, and so that’s what we have to model as adults. With the help of many like-minded organizations and individuals, we think we’ve helped start the conversation about making caring common online, in our schools, at dinner tables around the country, and we hope you’ll join us with your ideas, your strategies and your passion. What makes a student more likely to intervene when they see someone being bullied or harassed? Skills, according to "Raising Upstanders" in the April 2017 issue of Education Update. Read the article for expert advice, then check out the following collection of free upstander lesson plans, resources, tip sheets, and programs. "5-Minute Film Festival: Turning Bystanders Into Upstanders Against Bullying," Edutopia Links to tons of videos and resources that support kindness and inclusion in the classroom. "6 Reasons Why Bystanders Choose Not to Intervene to Stop Bullying," Huffington Post This list tackles some of the more common myths and barriers to intervention. "10 Ways to Be an Upstander," BullyBust, National School Climate Center Helpful tips for students on how to prevent bullying and how to support peers who are being bullied. "Becoming an Upstander," Random Acts of Kindness Foundation Lesson plan (grade 6), aligned to the Common Core State Standards, with activities and worksheets. "Dealing with Dilemmas: Upstanders, Bystanders and Whistle-Blowers," Teaching Tolerance A series of lessons and activities (grades 3–5 or grades 6–8), aligned to the Common Core standards, that empower students to stand up for others and fight injustice. "Speak Up at School: How to Respond to Everyday Prejudice, Bias and Stereotypes," Teaching Tolerance This guide for teachers offers concrete ways to respond to everyday prejudice, bias, and stereotypes in school. Includes strategies, examples, scenarios, and age-appropriate responses to students. Upstander Alliances, BullyBust, National School Climate Center Join more than 5,000 middle and high schools across the United States by starting an Upstander Alliance in your school. These student teams, in collaboration with adult moderators, come together to take a pledge, practice skills, and share information with the school community. They create targeted community-wide engagement projects focused on preventing bullying and raising awareness. Upstander Lesson Plan, Operation Respect Lesson plan (that can be adapted from kindergarten to high school), aligned to the Common Core standards, with multiple classroom activities and handouts: Teaches students how to respond to unkind behavior, practice assertiveness skills and "I" messages, decide when or if to intervene, and commit to being an upstander. “Grit” matters right now whether you are a teacher, parent, or a student. In fact, when you read the book, read it as a guide for yourself and your children/students. It’s clear to all of us that talent takes people only so far and that an effort beyond just natural abilities is required for success in any endeavor. In this world, where technology changes rapidly, new skills are needed throughout the tenure of one’s career, and dramatic national and world events impact us overnight, are we giving our students the skills to be the leaders of tomorrow?Are you as a teacher or parent modeling “grit” for our students? Our students are impacted by the adults in their lives. We can talk about perseverance with them, but our own actions speak volumes to our youth!Read the article below and see if you have the characteristics of GRIT! Recently some close friends visited, both of whom have worked in education with adolescents for over 40 years. We were talking about students in general and when I asked what has changed with regards to the character of kids, in unison they said "grit” – or more specifically, lack thereof. There seems to be growing concern among teachers that kids these days are growing soft. Fear of failure, or atychiphobia as the medical-set calls it, can be a debilitating disorder, and is characterized by an unhealthy aversion to risk (or a strong resistance to embracing vulnerability). Some symptoms include anxiety, mental blocks, and perfectionism and scientists ascribe it to genetics, brain chemistry, and life experiences. However, don’t be alarmed…the problem is not insurmountable. On Amazon, a “fear of failure” search yields 28,879 results. And while there are millions of different manifestations and degrees of the affliction, a baseline antidote starts with listening to the words of Eleanor Roosevelt: “do something that scares you every day.” As I noted in a recent post, courage is like a muscle; it has to be exercised daily. If you do, it will grow; ignored, it will atrophy. Courage helps fuel grit; the two are symbiotic, feeding into and off of each other…and you need to manage each and how they are functioning together. Malcolm Gladwell agrees. In his 2007 best-selling book Outliers, he examines the seminal conditions required for optimal success. We’re talking about the best of the best… Beatles, Bill Gates, Steve Jobs. How did they build such impossibly powerful spheres of influence? Unfortunately, some of Gladwell’ s findings point to dumb luck. Still, the area where Gladwell and Duckworth intersect (and what we can actually control), is on the importance of goals and lots, and lots and lots of practice…10,000 hours to be precise. Turns out the baseline time commitment required to become a contender, even if predisposed with seemingly prodigious talent, is at least 20 hours a week over 10 years. Gladwell’s 10,000 hours theory and Duckworth's findings align to the hour. However, one of the distinctions between someone who succeeds and someone who is just spending a lot of time doing something is this: practice must have purpose. That’s where long-term goals come in. They provide the context and framework in which to find the meaning and value of your long-term efforts, which helps cultivate drive, sustainability, passion, courage, stamina…grit. Excellence is an attitude, not an endgame. The word ‘excellence’ is derived from the Greek word Arête which is bound with the notion of fulfillment of purpose or function and is closely associated with virtue. It is far more forgiving, allowing and embracing failure and vulnerability on the ongoing quest for improvement. It allows for disappointment, and prioritizes progress over perfection. Like excellence, grit is an attitude about, to paraphrase Tennyson…seeking, striving, finding, and never yielding. Are there any others you'd add? By definition, passion is critical, but what role do you think it plays? I am sure that Duckworth will continue to explore and share the distinctions in the years to come, but I’d love to hear your thoughts. Come to either or both of the meetings and share your ideas on the importance of instilling a sense of GRIT in our children (and ourselves). Coming next week: A look at the current tenet that children value personal success over caring for others and why teaching them to be an “Upstander” in our society may change that trend. Help our teens (and younger students) see the potential damage of vaping. Stopping our teens from vaping requires an effort at home and at school. The amount of teens experimenting with vaping is increasing at an alarming rate – and there is no reason to believe that the statistics are any different for the teens of East Hampton. Communicating the dangers of vaping is essential so that all parents understand that vaping is not just a harmless alternative to cigarette smoking. It is urgent that teens understand the possible effects of vaping on overall health; the development of the teen brain; and the potential for addiction. This is not just a middle school and high school problem. Recently, students in an elementary school in Stratford were vaping on the playground during recess. From the CT Patch - STRATFORD, CT — Some students were recently found "vaping" during recess at Second Hill Lane Elementary School in Stratford, according to a notice sent to families. In the letter, Assistant Principal Amy Pinto wrote that they were "saddened to report that students were vaping in our upper grades during recess." "Several students were interviewed and families of students directly involved were contacted," Pinto wrote in the letter. "Your child may have witnessed this or heard about it from students talking. We hope this notice will serve as a way of starting a conversation about vaping. "As you may already know, vaping devices can come in many forms that are easily concealable, they can resemble pens or USB flash drives. The visible 'smoke' does not linger or leave a strong scent." Pinto said that staff members have been alerted and officials are "adding some education about the dangers of vaping to grade five." Teens Using Vaping Devices in Record Numbers (excerpt from The National Institute on Drug Abuse)America’s teens report a dramatic increase in their use of vaping devices in just a single year, with 37.3 percent of 12th graders reporting “any vaping” in the past 12 months, compared to just 27.8 percent in 2017. These findings come from the 2018 Monitoring the Future (MTF) survey of a nationally representative sample of eighth, 10th and 12th graders in schools nationwide, funded by a government grant to the University of Michigan, Ann Arbor. The annual results were announced today by the director of the National Institute on Drug Abuse (NIDA), part of the National Institutes of Health, along with the scientists who lead the research team. Reported use of vaping nicotine specifically in the 30 days prior to the survey nearly doubled among high school seniors from 11 percent in 2017 to 20.9 percent in 2018. (Note: see chart on front page of this Update.) More than 1 in 10 eighth graders (10.9 percent) say they vaped nicotine in the past year, and use is up significantly in virtually all vaping measures among eighth, 10th and 12th graders. Reports of past year marijuana vaping also increased this year, at 13.1 percent for 12th graders, up from 9.5 percent last year. The percent of 12th graders who say they vaped “just flavoring” in the past year also increased to 25.7 percent in 2018 from 20.6 percent in 2017. However, it is unclear if teens know what is in the vaping devices they are using, since the most popular devices do not have nicotine-free options, and some labeling has been shown to be inaccurate. There was also a significant jump in perceived availability of vaping devices and liquids in eighth and 10th graders, with 45.7 percent and 66.6 percent, respectively, saying the devices are “fairly easy” or “very easy” to get. There is more information on the survey’s vaping findings in this week’s issue of The New England Journal of Medicine. In a letter to the editor written by Dr. Richard Miech, the MTF study team lead. Dr. Miech points out that the one-year increases in the prevalence of nicotine vaping translate into approximately 1.3 million additional adolescents who vaped in 2018, as compared with 2017. The increase in vaping rates between 2017-2018 also aligns with the recently released CDC/FDA government funded National Youth Tobacco Survey. Liz Burrows’s official job title is tobacco control coordinator at the health department in Oldham County, Kentucky, but these days she doesn’t spend much time worrying about tobacco: It’s all about vaping. Marketed as an alternative to help adults quit smoking tobacco, vaping—or inhaling vapor from an electronic cigarette— has skyrocketed among teens and tweens across the nation. From 2013 to 2014 alone, e-cigarette use among high school and middle school students tripled, according to the Centers for Disease Control and Prevention (CDC), which reports that 50 percent more kids vape than smoke traditional tobacco cigarettes. A 2017 National Institutes of Health study found that more than one in four high school seniors reported vaping in the previous year, while 16.6 percent said they had vaped in the previous month. More than 6 percent of eighth graders also reported vaping in the previous month. Lured by glamorized images of vaping on social media with hashtags like #VapeLife and #DoIt4Juul—Instagram contains 13.4 million #VapeLife posts—many kids seem unaware of the risks involved. A recent survey by the Truth Initiative found that 63 percent of 15- to 24-year-old previous 30-day users surveyed didn’t know that vapor pods, which come in hundreds of kid-friendly flavors like gummy worms, cotton candy, and unicorn puke, contain highly addictive nicotine—a single pod containing 200 puffs can have just as much as a pack of Marlboros or Camels. As vaping devices are increasingly showing up in school parking lots, bathrooms, and even classrooms, teachers and administrators are scrambling to address the problem. But it isn’t easy. Unlike their traditional counterparts, e-cigarettes are easy to buy online and conceal, and they don’t carry a strong smell. The popular brand Juul, which represents the majority of e-cigarette sales, looks like a USB drive and is small enough to hide in a shirtsleeve. To counter the misconceptions, the nonprofit CATCH My Breath provides schools with a free curriculum for middle and high schoolers that teaches students what chemicals are in vaping pods and how they can be harmful to their health. Early studies indicate that some of the chemicals in vaping pods could be carcinogenic and cause a scarring of the lungs called popcorn lung. Students are also made aware of clever vaping marketing techniques and armed with strategies for avoiding the social media hype. With talk of vaping on the rise in her district, Phillips incorporated the four CATCH My Breath vaping lessons directly into PE activities at her middle school. In one, sixth graders learned about the health impact of vaping chemicals like acetaldehyde, propylene glycol, vegetable glycerin, and nicotine, and then participated in a relay where they had to “name that chemical” while racing the clock. CATCH My Breath lessons are available online. In hopes of curbing the widespread use of e-cigarettes in Orange County, California, educators are using a social and emotional learning (SEL) approach. Run through the Tobacco Use Prevention Education (TUPE) program, California’s anti-smoking education program, the lessons help students continue to develop SEL skills like self-regulation, problem solving, and communication that they can apply in situations where they might be inclined or feel pressure to vape. These SEL lessons are part of TUPE’s four-part approach, which also includes information on vaping, a cessation hotline number, and student-led anti-smoking projects in their schools or communities. And when a student is caught vaping at school, a TUPE-trained school staff member talks the student through their decision-making process, examining what led them to vape to help put them on track to make better choices in the future. Other districts are turning to their students for help. After trying costly vaping detectors in bathrooms and strict consequences like suspensions with little success, Gregg Wieczorek, principal of Arrowhead High School in Milwaukee, decided to take a different tack. This fall he’s sending students to the seven feeder middle schools in greater Milwaukee to talk to the younger students about the dangers of vaping before they start. “I’m hoping that when the middle schoolers see this kid they looked up to on the basketball team saying, ‘Vaping is bad for you and here’s why you shouldn’t do this,’ it might have more impact on them than the teachers or parents saying it,” Wieczorek said. Other communities are having students craft anti-vaping campaigns aimed at their peers. In Charles County, Maryland, students in the after-school program called the Young Researchers Community Project researched the health effects of vaping and then created a series of public service announcements that were used in televised morning announcements at area middle and high schools. Evolving technology and new products like the smaller, less conspicuous Suorin Drop may make the vaping problem even more difficult to manage in the future. Public health officials in some states are advocating for stronger FDA regulation of vaping devices, such as raising the buying age to 21 or cracking down on online sales. Juul has promised to spend $30 million on youth prevention, including a school curriculum, but most tobacco and vaping preventionists are skeptical. At a number of schools, staff are seeing a need to break down barriers between school and home life and partner with parents instead. Back in Oldham, students caught vaping are recommended to take a four-week class that parents also attend. And TUPE’s parent trainings in Orange County saw a big uptick last school year as more parents became aware of vaping.